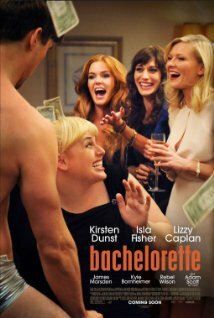 Posted on 14/05/2013, in the whole rom com list, weddings rom coms and tagged Hayes MacArthur, Isla Fisher, James Marsden, Kirsten Dunst, Lizzy Caplan, Rebel Wilson. Bookmark the permalink. Comments Off on Bachelorette.